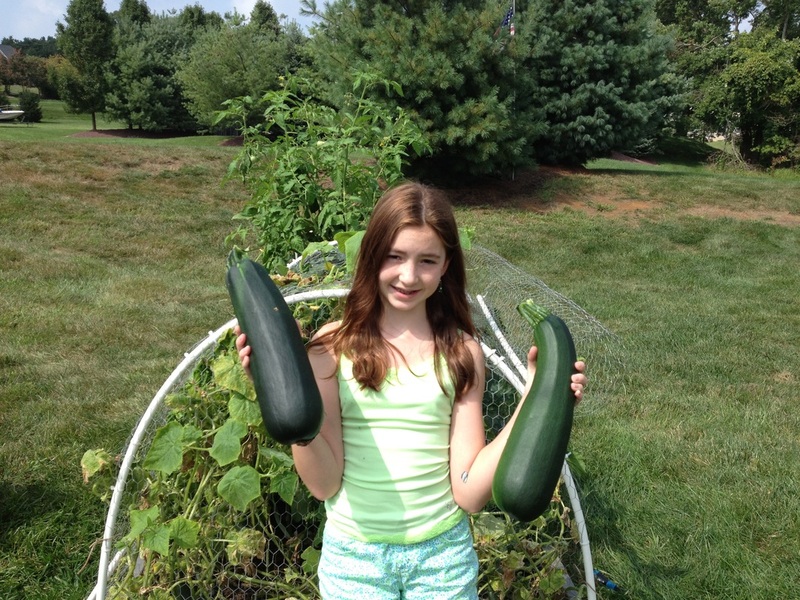 The Many Benefits of Gardening with your Kids! See how you can help change their world! If you’ve decided to involve your kids in gardening, you need to make some decisions—most importantly where and what your child will be gardening. The essentials for a children’s garden are clear paths, narrow beds, and edible plants. Kids should be able to reach across the beds. They can learn where people go and where plants go. Parents should set aside a small plot in the garden or flowerbed the child can experiment with. I like to see less regulation in the garden. The way to approach it best is that there’s nothing the kids can’t handle and get them involved from the very beginning. Let kids have their own spot. If they want to toss 10 seeds in one hole, let them and they will see what happens. Let them learn from the experience. Once you’ve decided where to let your children garden, it’s time to decide what to plant. We recommend planting crops that are hearty enough to succeed and don’t require unusual care. A local nursery, good gardening book, and even the backs of seed packets should answer questions about growing habits of plants, the soil and nutrition needed, and proper watering. Instant gratification helps a lot. Plant radishes even if you don’t like them—they come up in three or four days. If they grow it, they'll love it! We love to introduce to a variety of plants that are great to smell, fun to touch, good to eat. 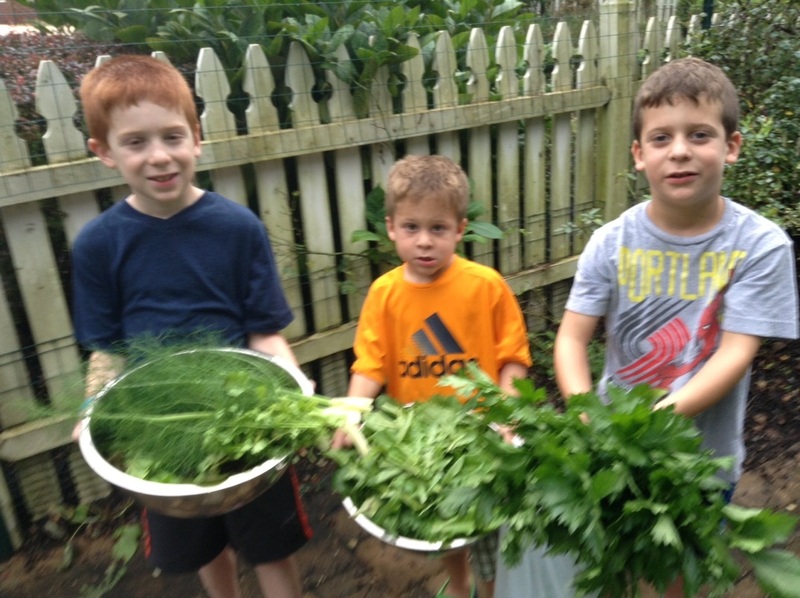 Many children who garden take interest in salads made with foods they’ve grown. Kids are learning where food comes from. I think they will taste more things in a garden situation than they ever would otherwise. It’s different when you pick it, know where it comes from and have interaction with it. It's important that parents teach children the names of plants, vegetables and flowers, especially if they have a taste or smell children can identify. Kids love to learn the names of the plants…teaching them is a good way to teach respect for even the smallest things. If you’re looking for an engaging outdoor activity that allows the whole family to participate, consider a family garden! 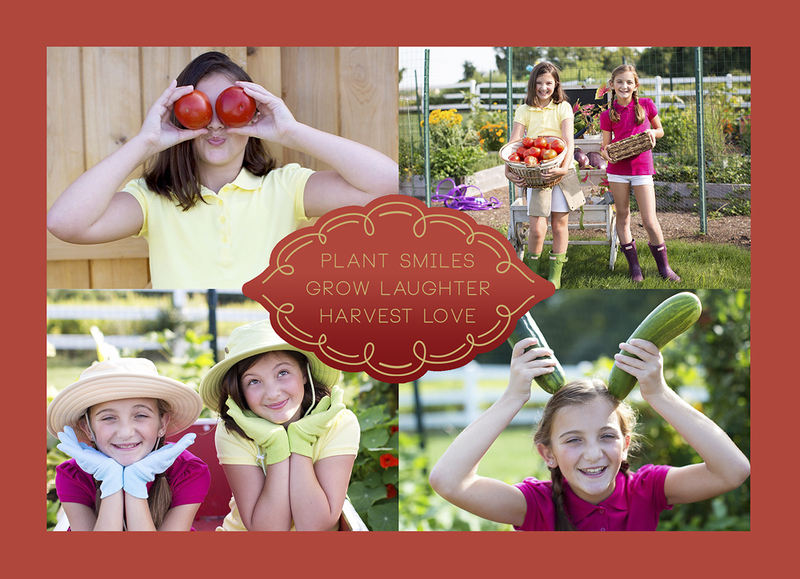 From selecting your vegetables and flowers, preparing the earth and planting, and finally harvesting, gardening can be a wonderful way to involve your children in a healthy hobby you can all enjoy. We love to help parents teach their children about the importance of healthy foods and our environment. 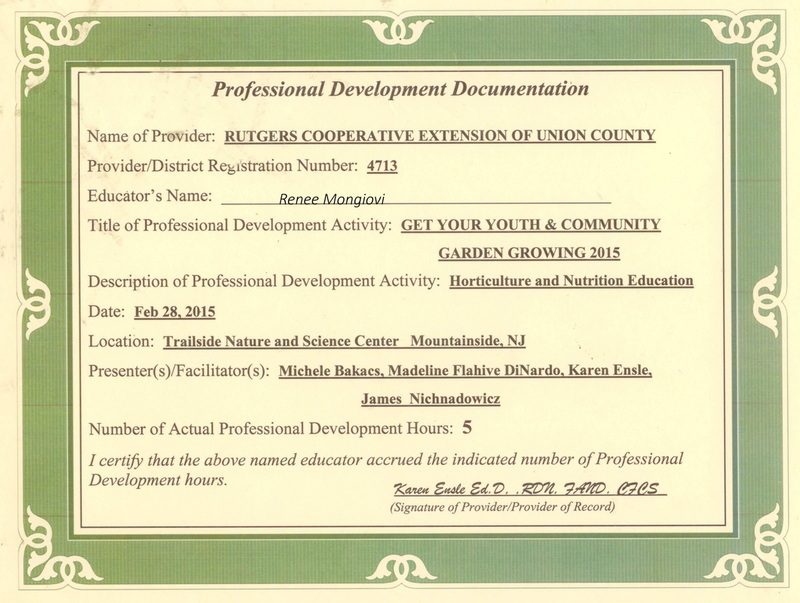 Gardening activities can help to engage kids in learning in a way that is more difficult in the classroom. Gardening allows surprises to arise when insects land in the vicinity, when plants are afflicted with mites or fungus, or when the weather surprises everyone and disrupts the plan for the day, for example. These surprises show that nature is in control and they give the kids immediate and personal reasons for wanting to know the answers to pressing questions. With little ones, they’re a lot closer to the ground; they have an intimate relationship with the earth. Anything we can do to bring that non-descript terra firma to life is good. Along with the fun of getting dirty, gardening helps children learn valuable lessons about patience as they wait for vegetables to grow, responsibility as they see how necessary their care is to the garden, and even loss when flowers die at the end of a season. They learn about nurturing a life and what it takes to keep something alive. We emphasize the value of exercise as children physically work in the garden, that families learn to work together and share, and that gardening helps build a child’s senses. One of the most important things about [vegetable] gardening is understanding where food comes from. Young children are fascinated in seeing food when it’s pulled from the ground, and they notice the similarities and differences from their garden vegetables and produce from the grocery store. Carrots and Radishes and Broccoli—Oh My! Dress your kids in a hat and gardening clothes (meaning anything you don’t mind getting dirty) when it’s time to plant, weed, water or pick, and don’t forget to use sunscreen. Take your time with the kids and remember that a young child’s attention span may wane sooner than yours. Kids love digging in the dirt and will benefit from having their own gardening gloves and equipment. Child-sized tools are great if you can find quality tools. Blunt-nosed Fiskars scissors work great for cutting flowers in the garden, and children can arrange their flowers with floral tape. We also suggest giving kids their own baskets for harvesting snacks or holding hand-picked bouquets. Looking for the wildlife in a garden is a great part of the fun for little ones. Kids love insects and worms. Gardening introduces them to some of the living creatures in the soil, under rocks and on plants. It’s all a part of opening the world up to them. Let them be creative. They build beds for the bugs, hot tubs, waterslides—things they think the bugs would enjoy. 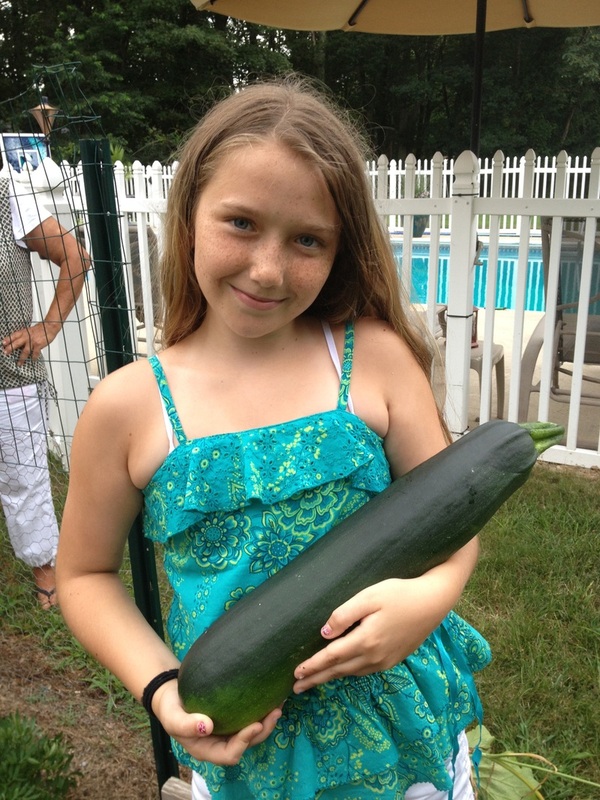 Children are natural nurturers, and understand the importance of caring for plants and other things in the garden. With children’s nutrition under assault by fast food and junk food industries, and with only about one-fourth of Florida adults eating recommended quantities of fruits and vegetables, it is no wonder that nearly one-third of our country's 10-17 year olds are reported to be overweight or at risk for being overweight. 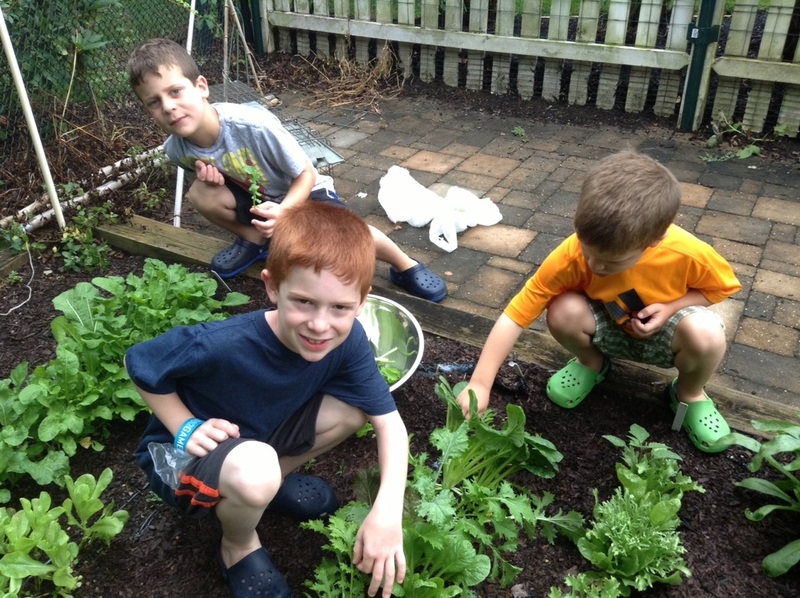 Gardening offers children opportunities for outdoor exercise while teaching them a useful skill. Gardens containing fruit and vegetables can also help to revise attitudes about particular foods. There is mounting evidence that active learning in less structured, participatory spaces like gardens is more likely to transform children’s food attitudes and habits, and that school gardening, especially when combined with a healthy lunch program or nutritional education, encourages more healthful food choices. Students are more likely to try eating vegetables they have grown themselves and to ask for them at home (Morris & Zidenberg-Cherr 2002). Gardening can be a wonderful family project filled with adventure, experimentation, and learning; and children love to learn when they’re having fun. Not only will your kids enjoy the satisfaction of nurturing life, but they’ll love spending time with you!